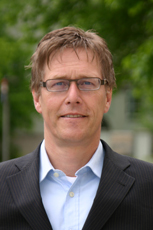 At present, with more than 50.000 entries, ECO-Address is German's largest database for environment-related resources available on the Internet. In addition to a powerful query engine, detailed categorisation is offered and provides the surfer with quick and reliable results. Even your address could be found here. Special feature: Partners of the ECO-World can present their business, products and/ or services on a micro-webpage. Thus they are a real part of our platform. To easily construct and host their web-page ECO-World provides them with a special tool. With its help our partners create and update their entries fast and independently. For a very low price we offer them one of the best ways to get known in the German market: In the first year an account will only cost 75,- €. Are you interested, too? Don't hesitate to contact us and register here Your business facts for free. If any of the promotion possibilities ECO-World offers sounds interesting to you, don't hesitate to take advice! We'll be glad to help You. An English version of our website, including more detailed information on the various advertising possibilities, is currently in preparation. Register here for more information. ECO-World by ALTOP ranks as a very modern firm in the publishing business as well as in the area of ecological marketing. We would be happy to help you with further information and specific advice. 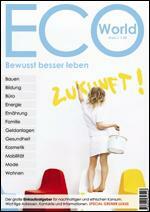 or even better by email: f.lietsch@eco-world.de either in English, Spanish or French.